We all knew it was coming. Even so, I was still pretty surprised when the Stars announced today that they swapped Brenden Morrow and third-rounder for Joe Morrow and a fifth-round pick. And thus, the Morrow era has come to an end in Dallas. I like the trade (and I think the Penguins might have slightly overpaid), but I have mixed feelings about Brenden leaving. Trades are just part of the business, but saying good-bye to a player who has given so much to the Stars isn’t easy. Few players have shown the heart and soul that our captain has had at times, but there’s no denying that the Morrow we traded is a different Morrow than we saw in 2008. Five years ago, Morrow embarked on one of the greatest individual playoff efforts of the decade. Now, he’s an oft-injured disappointment who’s only shown rare glimpses of his magical 2008 form. Having your captain demoted to the fourth lines at times is, quite frankly, embarrassing. Morrow’s best hockey seems to be far behind him, and he wasn’t going to be re-signed. 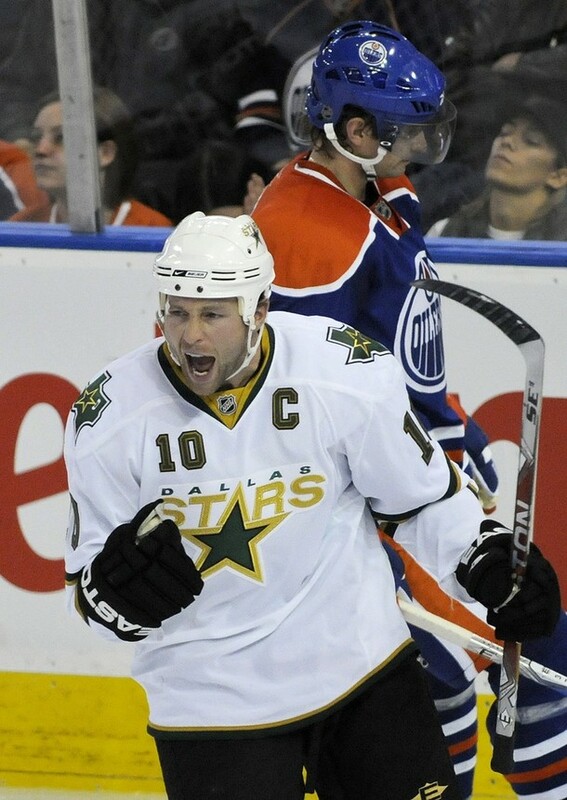 But at the end of the day, he’s still our captain and one of the greatest to ever wear a Stars sweater. So we say good-bye to one of the most frustrating (and beloved) players on the team. The journey hasn’t always been easy for Brenden Morrow, but his passion and leadership has never swayed. If he does win a Stanley Cup, my biggest regret is that it won’t be with Dallas, the team he left such an indelible mark on. In fact, for some his true legacy will be that he was a part of some great teams that just weren’t quite good enough. But that seems unfair to Morrow. What I’ll remember most about Morrow is his heart. It’s not something you can touch; rather, it’s something that touched all of us. 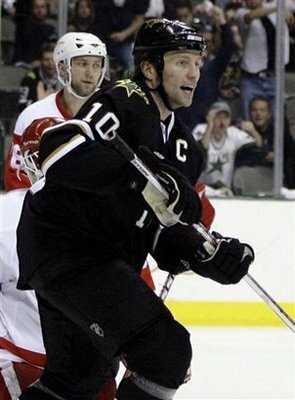 I’ll never forget his Conn Smythe-worthy performance in 2008. I’ll never forget his ferocity and willingness to stand up for his team, especially when he took on the Vancouver bench hobbling on one foot. I’ll never forget everything he gave to this team. Some people are just made to be leaders. Brenden Morrow is one of those people. With Morrow’s departure, only three players remain from that miracle 2008 playoff team—Stephane Robidas, Trevor Daley, and Loui Eriksson. This shows just how different the Stars are from that 2008 team. And Morrow leaving hurts more than anything. For Stars fans, it will be very strange to see Brenden play in Pittsburgh. This trade feels very similar to management’s decision not to re-sign Mike Modano three years ago. Once again, a popular player is leaving and even though it’s the best decision, it’s not an easy one to accept. So long, #10. And thank you for everything. Okay, it’s not technically Cinco de Morrow yet. But at 1:24 tomorrow morning, Stars fans everywhere will be awakened by their alarms to “Rock and Roll Part 2” and celebrate a truly unforgettable moment in Stars history. Cinco de Morrow is our holiday, a unique one that only Dallas Stars fans celebrate. Because it was at 1:24 a.m on May 5, 2008 that Brenden Morrow redirected Stephane Robidas’ pass between the legs of Evgeni Nabokov and ended the eighth-longest game in history. I remember that night perfectly. It was a Sunday night, so it’s not like I should have been staying up all night, but I did it anyway. Game 6 had to have been the best game I’ve ever seen. Turco and Nabokov were fabulous and it was a true marathon. I won’t ever forget that night. I just wanted to say thanks to everyone who has so far taken the Stars Fan Survey. I’ve gotten a ton of responses, and I’m enjoying reading them all. If you haven’t taken it and still want to, you can drop me a line at: dallasstars4life@gmail.com. After the jump, a little gift for those who are pining for Brenden Morrow. It’s James Neal’s birthday today. So, I just want to talk about how awesome he is. I mean, Neal was one of the only good things that came out of 08-09. He played his heart out, just so he could have a spot on the Stars. Sadly, he was sent down to the minors, which he SO didn’t deserve, but it was, after all, “That Guy’s” fault. I’m pretty sure that Neal had the most multi-goal games of anyone on the squad. I can think of five instances when he scored at least two goals in a game. 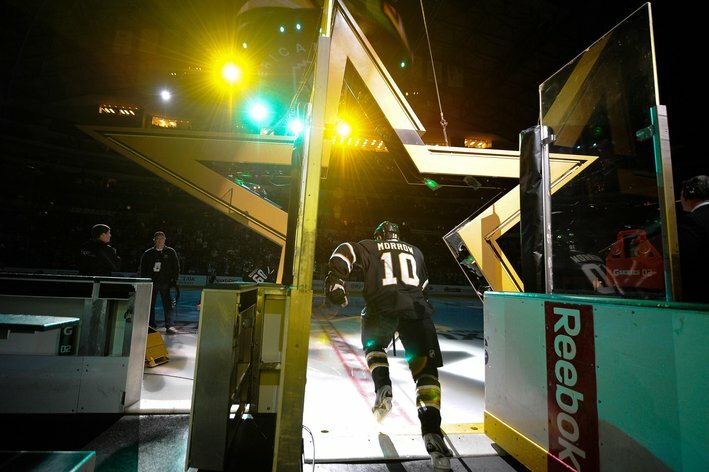 To put it bluntly, James Neal rocks. And I can’t decide if he’s the next Mike Modano, or the next Brenden Morrow. 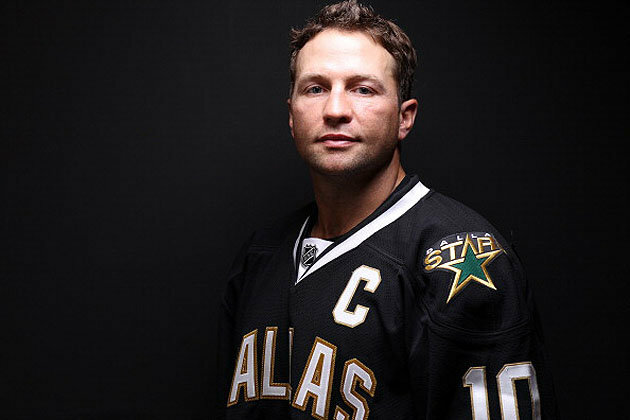 He’s got the size, speed, and scoring prowess of Modano. But at the same time, he’s got the grit, toughness, and determination of Morrow. So, really, he’s a combination of both. One thing’s for certain, Neal is the real deal, and we’ll be seeing much more from this kid in the future. You know, the Real Deal.